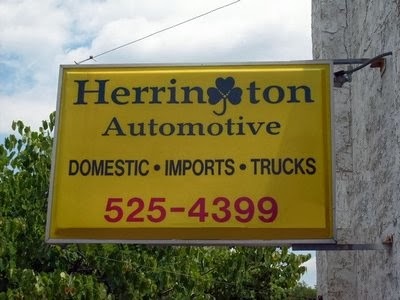 There's no greater peace of mind than knowing you have one less worry by having your vehicles serviced by the professionals at Herrington NAPA AutoCare Center. We stand behind our work with the NAPA AutoCare Peace of Mind Warranty. All NAPA AutoCare Center locations are locally owned and operated. NAPA AutoCare is not a franchise, but a high standard in the automotive industry developed by NAPA more than 20 years ago. Because it meets or exceeds NAPA's high standards - and has an outstanding reputation in your community - Herrington NAPA AutoCare Center can offer exclusive benefits like the NAPA AutoCare Peace of Mind Warranty to its customers. * Ask us about the NAPA AutoCare Center Peace of Mind Warranty, covered services and repairs.